Welcome all to my author spotlight with awesome local writer, Donna Fletcher. The very first book I read of hers was Bound to a Warrior, and from there it was her entire backlist. I tend to obsess when I find something I love and must read everything by that author. Donna Fletcher was also very generous in sending the Book Obsessed Chicks signed books for the BBQ raffle we had over the Summer. I always like to know what inspires an author to write and find out little things one normally wouldn't know. Now with the recent release of her latest HIGHLANDER UNCHAINED and FORBIDDEN HIGHLANDER, and upcoming WED TO A HIGHLAND WARRIOR, we get to find out a bit about the very talented author. Please welcome Donna Fletcher to Book Obsessed Chicks and enjoy the Q&A. Oh yes, and if you comment or ask Donna a question, you will be entered to win a book from her backlist! Please leave your email address. Thanks so much! My first Donna Fletcher read! My love of reading inspired me to write. My mom was an avid reader so there were always books in the house. She also signed me up for a YA Romance Book Club and I devoured every book that came in the mail. My love of reading continued into adulthood and one day I got an idea for a romance novel and started writing it. No, it was never published and I am so relieved it wasn’t. I had a lot to learn about writing and that book got me started on the road to becoming a writer. I went to the library and took out books on writing until finally there were no more books left to take out. I had read the whole section. It wasn’t easy. I tried submitting myself but got nowhere. I then found New Jersey Romance Writers and joined. I got to know some great women who were struggling to get published just like I was. I got involved in the organization, found my first agent while I was a member and sold my first book the month I took office as President. The women in my old critique group were the best mentors I could have ever had. They were honest and straight forward with their critiques, providing great feedback and helping to make me a better writer. We attended writers’ conference together and celebrated as each of us got published. They’re very proud of me and they are my best publicists. I love romance books but I have a tendency to stay away from them while writing my own. Then when I finish a book I go crazy reading romances. 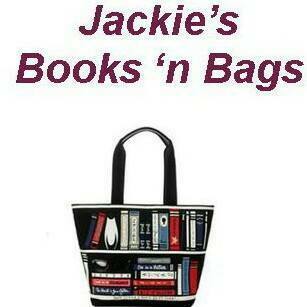 In between I read a variety of books; mysteries, thrillers, YAs, period pieces, and non-fiction. My favorite author presently is my son MJ Fletcher. He’s written a YA series called the Doorknob Society that is terrific and that’s not just my opinion. Reviewers and readers love his books. And naturally, I’m a very proud Mom. I haven't watched TV in over 4 years but I am curious to know if you have a favorite show? Actually I do, I love Bones and Castle. The writers have done a great job in bringing the couples together and making the shows even better than before. And I’m hooked on Sons of Anarchy; they’re like warriors of old. I also love The Big Bang Theory and Mike & Molly. They never fail to give me a good laugh. Oops, that’s more than one, but I do need a break from my Highlanders now and again. How do you have time to balance all that is being Donna Fletcher? That’s a good question and I wish I had a good answer. Some days seem more balanced than others. I juggle a lot, though that doesn’t mean I don’t drop things every now and then. But I don’t believe I’d have it any other way. It makes for an interesting and exciting life. And the good part is that I fall into bed exhausted each night and sleep soundly. That’s heavenly! 11. Who are your favorite characters from your books? You’re going to get me into trouble asking that. If I say I like one more than the other than I’ll never hear the end of it from my characters. They’re always filling my head with ideas for future books or short stories. Besides, I fall in love with every hero I write and I admire every heroine I create. I used to attend a lot of conferences, but time restraints have had me cutting back on attending them. I loved the conferences where I could meet readers and talk with them. A good conference that focuses on the concerns of the published author is Novelists, Inc. I was President of the organization last year and I can tell you that there isn’t another writers’ conference out there that comes near to providing the information necessary to a published author (traditional or indie) that Novelists, Inc. does. I think it’s all the hats you need to wear being an author. You need to be a marketer, social networker, researcher, speaker, account, and I’m sure I missed a few. I love getting lost in my books but when I finish my writing for the day, I’m not done. I switch hats and get started on other areas of being an author. When time permits, I knit. No big project, since I don’t have the time for one, though I am tempted to try knitting a lovely sweater pattern I saw. I also love working in my container garden in the summer. I have a front porch and I fill it to the brim with plants. It’s my little oasis and I sit out there in the evenings with a glass of wine and my dog for company. I wish I had the time to sew. It was a hobby of mine years ago and I made some great clothes. Would love to do it again. Thanks for your support. It means the world to me and is more appreciated than you know. You are the best, and know that I write for you! 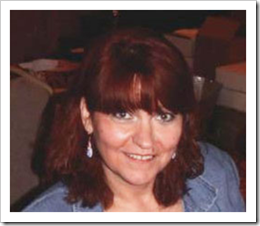 About the Author: Donna Fletcher is a USA Today bestselling author of historical romances. She is also a past President of New Jersey Romance Writers and Novelists, Inc.
Hi, Donna, and thanks for visiting the blog! I was wondering how much research you have to do in order to recreate the look and feel of the Scottish highlands? Do you have favorite resources that you use or have used? Have you traveled to Scotland? I am always so curious how authors create their worlds! Thanks! Hi Nina, I'm delighted to be here. As for my research, I have tons of books on Scotland and I have several sites bookmarked on my computer which is kept in a research folder. I also print out articles I come across on Scotland that I feel might help me in the future. I have maps from different time periods and pictures. My favorite resource would be the Internet. There are always new posts, pictures, etc. you can find. I have traveled to Scotland and it was a fantastic trip. I came home with research books and a notebook filled with research material, and a sense of the country you just can't get from a book or picture. I have been hooked on your novels since The Buccaneer in '95. That book has continued to be one of my favorites of all time and I think I've bought it three times. LOL Once to replace it because it was lost in a move and then when it came out in ebook had to have it. I've loved all the stories you've gifted us with and especially the Highlander's. What's coming up next? The Buccaneer holds a special spot in my heart. I'm so pleased to know you've enjoyed it. Writing it got me through a difficult time in my life. I'm working on the third book in my Highlander Trilogy which will be about Cree's sister Wintra, though Cree and Dawn will be in it as well. I'm also finishing up the long awaited sequel to Untamed Fire... Renegade Love. I have been wanting to write that book for 20 years and my readers have been haunting me about it. Now I finally have gotten the chance. More Highlander books are also in the works. 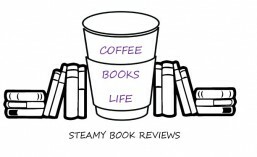 Donna, words cannot express how thankful I am to have you on the Book Obsessed Chicks blog. Thank you for answering questions. They are great questions too! Kim, I'm delighted to be here. Thanks so much for having me. I enjoyed meeting you, Donna! I am putting you on my list to read! Thanks, Kay, I appreciate it. Hi Elizabeth, I tried learning to crochet and messed it up so bad that I never attempted it again. Funny thing though, I have a twin who loves to crochet but can't knit. I guess we balance each other.